Close-up of plate 1 showing the heart, from Charles Bell’s Engravings of the Arteries, 1801. 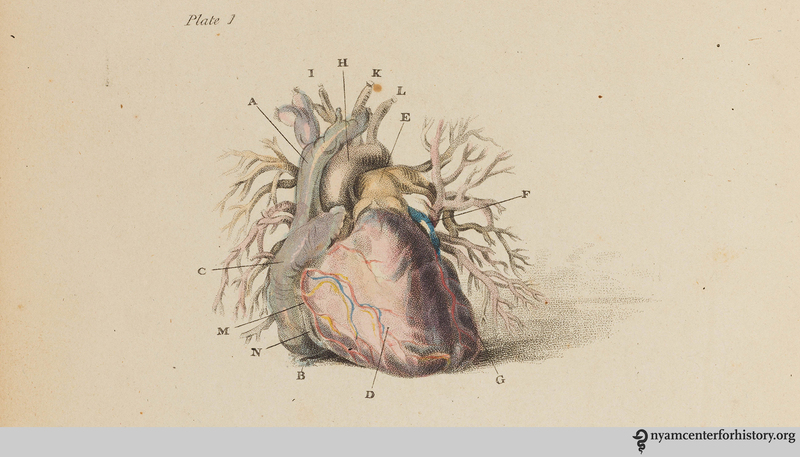 Imagine you’re a medical student, and inside your go-to study text is this astonishing, hand-colored image of the heart (above). Twenty-first century medical students should be so lucky! Engravings of the Arteries by the Scottish anatomist, Charles Bell (1774-1842), was first published in 1801, some 57 years before the first edition of Henry Gray’s Anatomy. Devised for medical students, it aimed to offer accurate and simply-rendered illustrations of the arteries to “present to the student at one glance the general distribution of the vessels and to fix them in his memory.” The book was used by students as a preparatory text for surgical study and practice. In studying the arteries, or any part of anatomy, we should, in the first place, run the eye over the corresponding plate, then read the general description in the text; and lastly, proceed to study more closely, step by step. 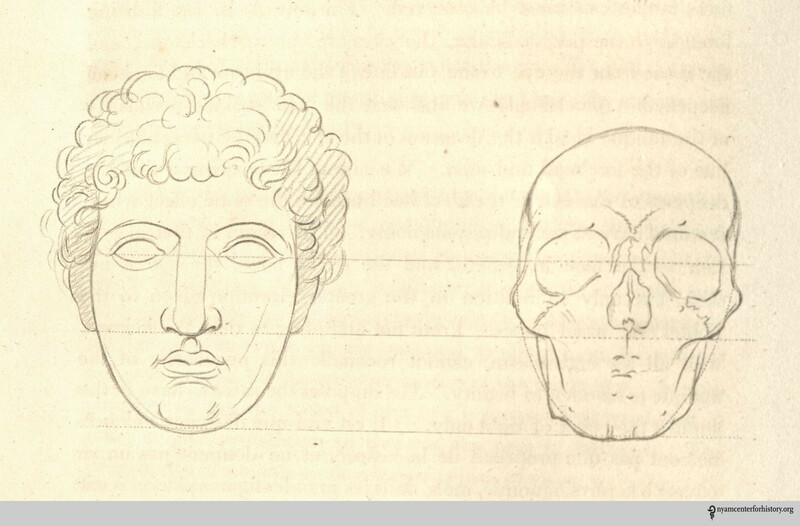 For Bell, true anatomical understanding was aided in pairing accurate drawing with thorough description. Bell also believed that a variety of bodies should be used as subjects, and that the artist must choose the most typical anatomical examples to copy accurately. Any deviation from usual forms would be preserved in the illustration, but noted and explained in the description. 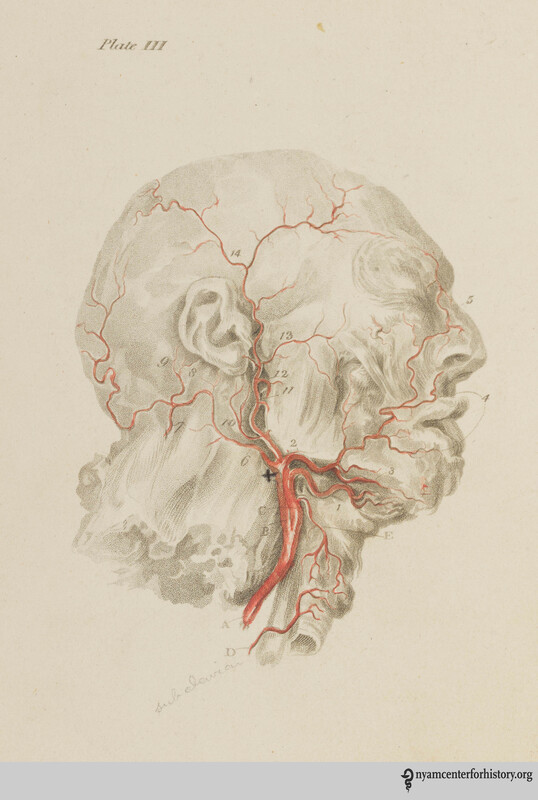 Plate 3, showing the carotid artery, the lower thyroid artery and the upper thyroid artery in Charles Bell’s Engravings of the Arteries, 1801. 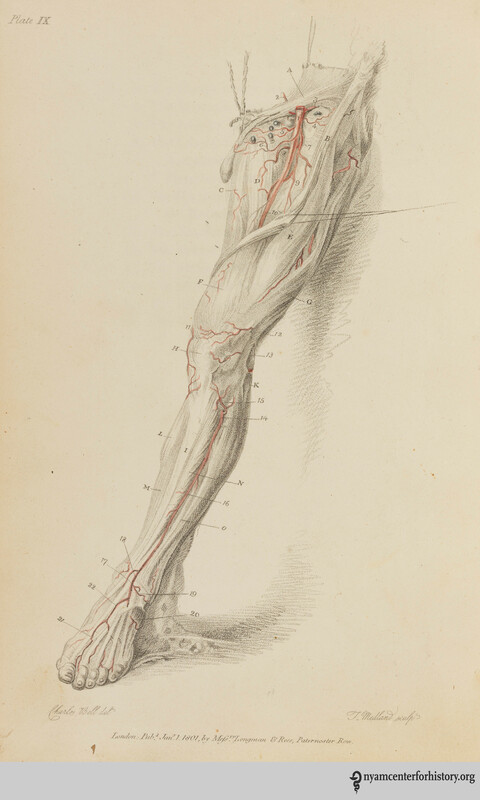 Engravings of the Arteries was the second volume of two; Charles’ brother, John Bell, an eminent surgeon, had written the first volume of this companion set, Engravings, Explaining the Anatomy of the Bones, Muscles, and Joints, in 1794. The elder brother mentored the younger in medicine, though Charles’s formal training occurred at Edinburgh University (he earned his medical degree there in 1798.) Both Charles and John taught anatomy at the Royal College of Surgeons, until 1804, when the brothers were banned from practicing medicine in Edinburgh by the faculty there, jealous of the success of their anatomy classes. They moved to London that year and established a new anatomy school, as well as a thriving surgical practice. 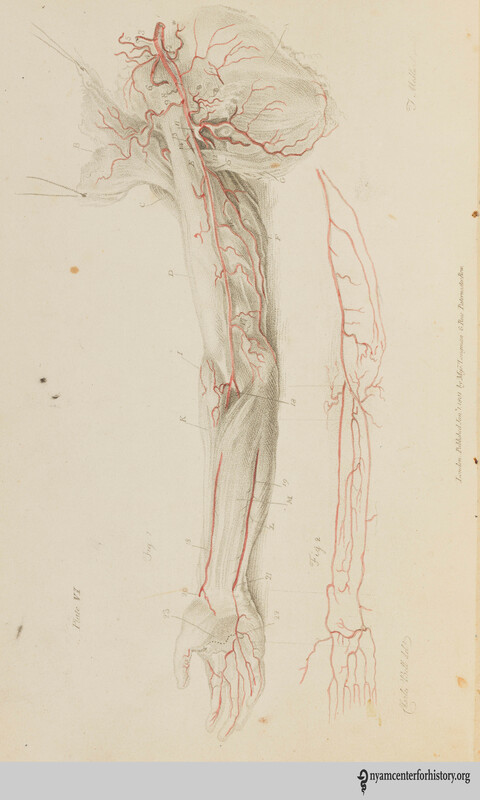 On the left: Plate 6, showing the arteries of the arm, and on the right, plate 9, showing the arteries of the lower extremity, both from Charles Bell’s Engravings of the Arteries, 1801. Bell argued in Essays on the Anatomy of Expression in Painting (1806) that the ancient models often imitated by painters did not accurately reflect anatomical realities. During his career, Bell also made important inroads in determining the sensory functions of the nervous system. He was an early advocate of the idea that different parts of the brain controlled different functions; his pioneering work on the brain and cranial nerves influenced the work of other important brain researchers for decades. Bell’s palsy, or facial paralysis caused by nerve dysfunction, is named after him. For art lovers–and heart lovers too, on our minds this National Heart Month of February–Bell’s gossamer drawings have a special place in the history of anatomical illustration. Bell understood that image and text could work in concert to save laborious use of words to convey anatomy. But he also understood the added value of drawing the body with attention, skill, and reverence. Bell knew that accurate and clear drawings could dramatize with nuance the systems of the body, in all their astonishing perfection. That idea is very much on display in this beautiful book. Bell C. On the nerves; giving an account of some experiments on their structure and functions, which lead to a new arrangement of the system. Philosophical Transactions of the Royal Society of London. 1821 Jan 1;111:398-424. This entry was posted in Collections, History of medicine and tagged art, Charles Bell, John Bell by nyamhistmed. Bookmark the permalink. These are wonderful illustrations! The detail is remarkable and reflects his passion for his process.